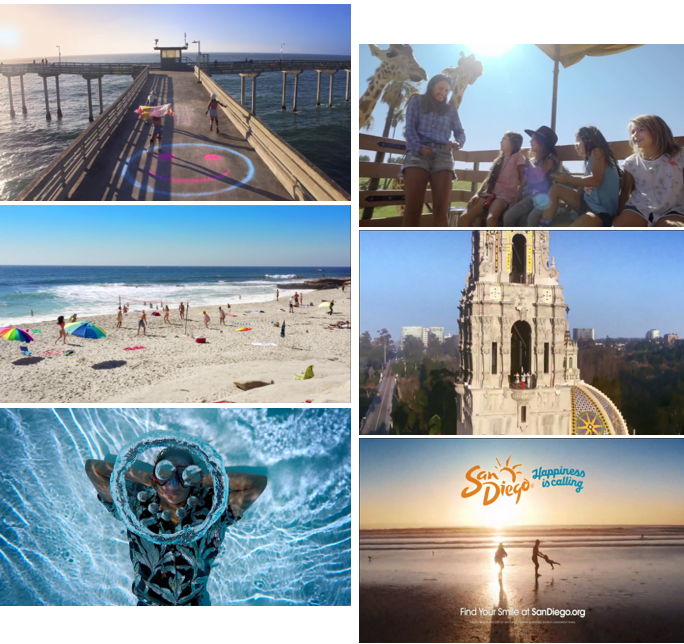 Below are the February 2019 sales & marketing highlights from various departments from the San Diego Tourism Authority. SDTA’s “Something to Smile About” brand television and digital video programs, which serve as the primary brand awareness advertising layer, continued in February and will extend through April. Television continued in six of the eight spot markets: Seattle, Chicago, Dallas, New York, Boston and Minneapolis as well as nationally on ABC video-on-demand. A national broadcast partnership with ABC – the #1 family network – launched in February during the sweeps period maximizing impact within high-profile family programming. In total, the brand awareness program delivered 102.4 million impressions with $1.3 million in media spend. The always-on content initiative also continued with national and Los Angeles and Phoenix spot market layers. During February, the content initiative expanded to include content and distribution dedicated to the family audience. The $400,000 program will distribute video content for two series during April through June. 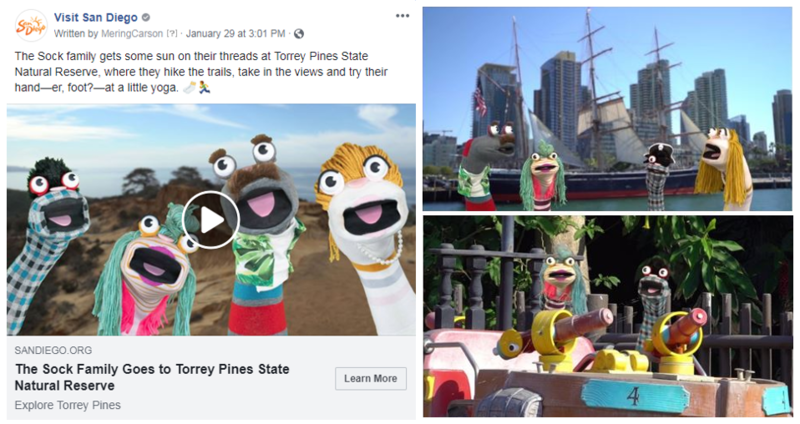 Through co-op partnership with SeaWorld San Diego, San Diego Zoo Safari Park and LEGOLAND California Resort, SDTA’s One Bright Idea video series expanded to include family-specific episodes featuring edutainment experiences that are rewarding for the entire family. The One Bright Idea series will be distributed through Facebook, YouTube Trueview and Viant through June and is estimated to deliver 19.1 million impressions. As part of the family content initiative, SDTA has launched a new series, “Stories from the Sock Drawer,” which follows an entertaining family of footwear around San Diego as they experience the best of what the city has to offer families. While educating on San Diego’s family experiences, the series entertains with surprising visuals and fun family dynamics – all in 60-second bites. Click to view the “Stories from the Sock Drawer” series on YouTube. Complementing the brand program is a first-of-its-kind integrated partnership with TripAdvisor that will run February through May in the United States and United Kingdom and May through July in Canada. The robust layered digital media program uses co-branded creative that reaches travel intenders through the consumer decision journey. The program includes a variety of placements such as blog posts and a custom video promoted on TripAdvisor social, co-branded video units with reviews from the TripAdvisor community, custom content hubs built by passion pillars and pull-through banners to encourage booking. In total, the custom TripAdvisor media partnership is estimated to deliver 72.5 million impressions across the United States, United Kingdom and Canada. 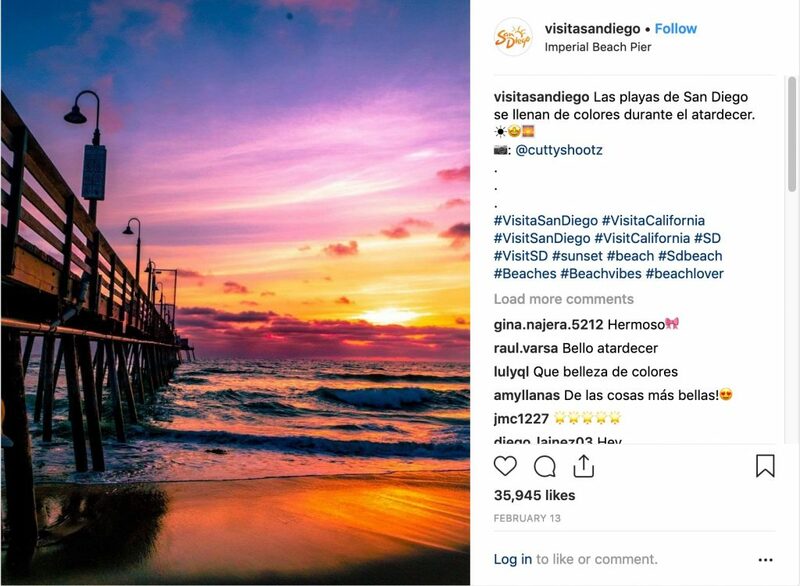 In February, paid advertising for the TripAdvisor partnership program totaled $208,135, delivering 55.6 million impressions in the US and UK. 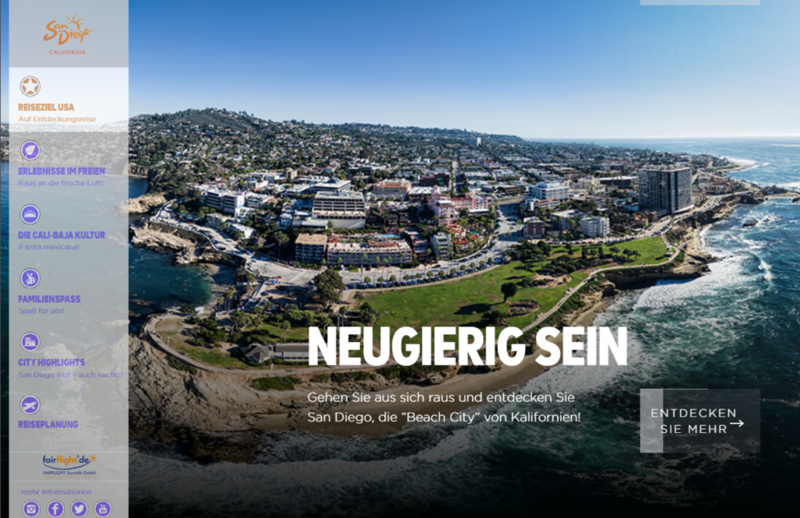 In February, SDTA participated in Brand USA’s Germany tour operator program designed to drive sales to the destination through bookable tour operator product – in this case Fairflight. 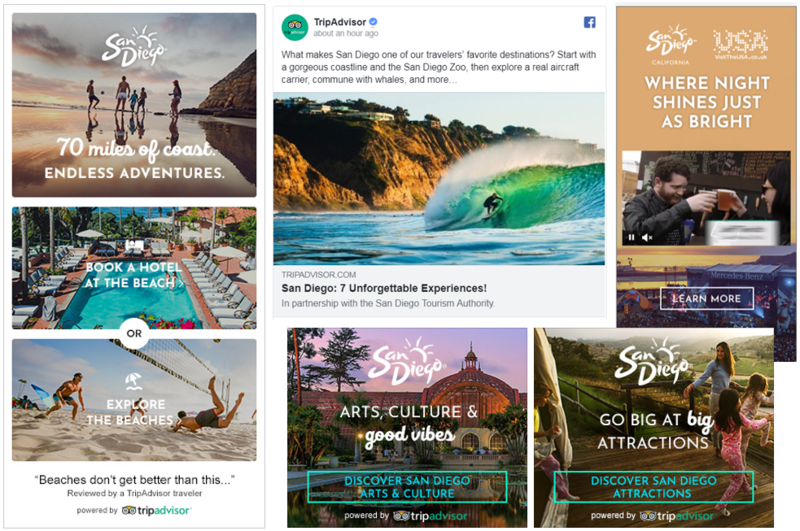 Digital banner ads were produced to drive to digital lightboxes that showcase San Diego content and bookable itineraries. The program launched at the end of February and will continue through April, delivering an estimated 2.7 million impressions. Always-on search marketing continued with Baidu during February, and SDTA completed another livestream episode. 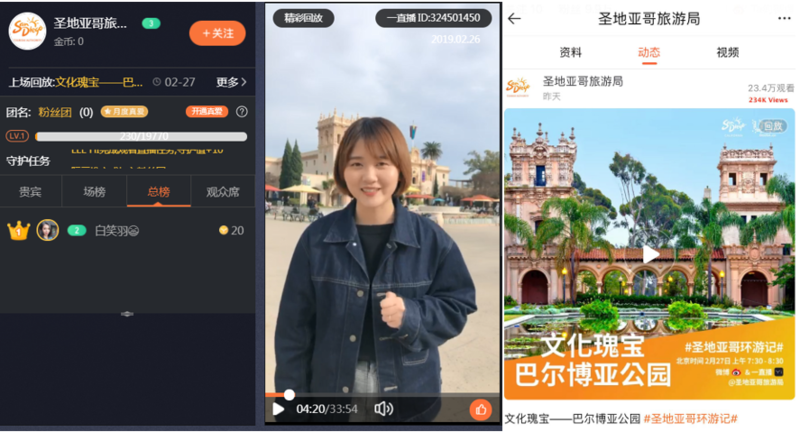 This month’s livestream featuring Balboa Park was promoted organically on Weibo, garnered 234,000 views and more than 280,000 social engagements. Total February spend in China was $17,571, delivering 12.6 million impressions. The National Geographic initiative continued with the four-part miniseries on Balboa Park and San Diego completing its airing in both Canada and the United Kingdom. 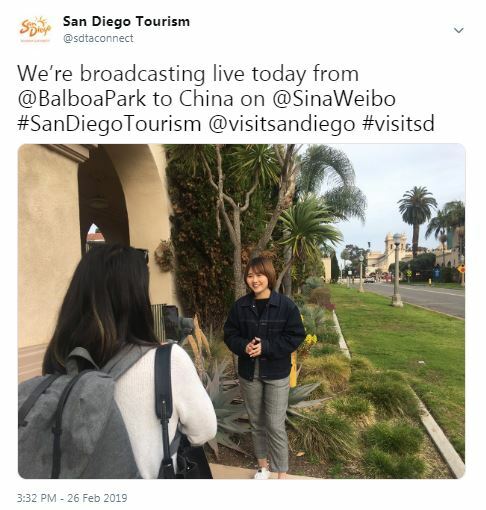 The SDTA Cultural Tourism team continued to work with National Geographic on finalizing the broadcast campaign, miniseries and collecting reporting for the entirety of the campaign. Produce almost 120 million gross impressions. Reach 105 million households through the four-part broadcast series. Access an audience of 11 million through the print editions of National Geographic Traveler in North America and the United Kingdom. Digital articles have received 108K pageviews as of February. More than 18.9M recipients have received the added value newsletters over the first three sends as of February. Overall the social campaign has received over 70.2M impressions, which includes organic and boosted posts on all platforms as of February. The Cultural Tourism team is working with the Spanish Village Art Center on a fundraiser to benefit the village and activate the space. The event is called Arts & Craft and it will be a unique evening featuring tastings of some of San Diego’s best craft brews, delicious bites from local eateries, music, and, of course, the chance to check out the work of the village’s more than 200 resident artists. Attendees will even get the chance to make some art of their own to take home with lessons in painting, mosaics and more. The event is a fundraiser with proceeds going to support the Spanish Village Art Center’s arts education programs as well as to bolster its efforts to enhance its space with new, inventive experiences. This event will take place on April 26, 2019 from 6:30 to 9:30 p.m. The team is working to secure sponsorships and in-kind donations to ensure the maximum amount of funds flows to the Spanish Village’s 501 3(c). To highlight and expand on San Diego’s various arts and cultural districts, the Cultural Tourism team will be producing new cultural district videos that will highlight local favorites in San Diego’s City Council districts. 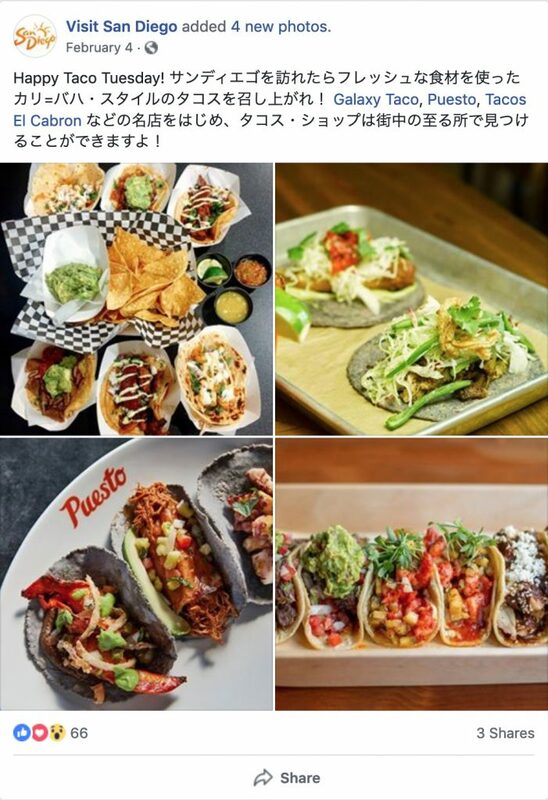 The videos will feature local constituents as hosts and participants to ensure the videos give viewers an authentic insider’s view on the best places to eat, drink, shop and explore in San Diego’s different cultural districts. 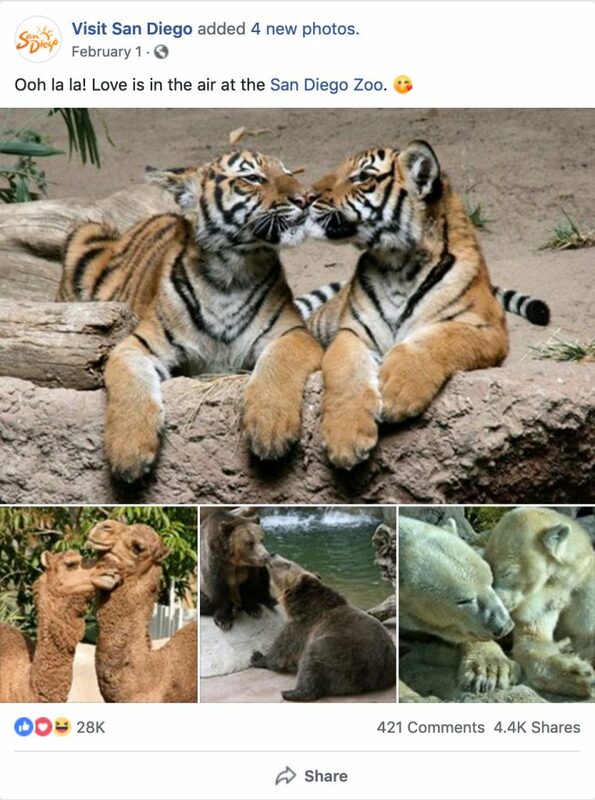 Special events in February focused on Museum Month and Valentine’s Day. Web traffic for February included 1.15 million user sessions between the desktop and mobile websites (excluding Travel Blog). The team posted a total of 165 Tweets, 22 Facebook posts, and 17 Instagram posts, and 4 Instagram Stories through our social channels. There were 8 blogs and 7 consumer emails published this month. Overall sessions to the China website (sandiego.com.cn) was 68,632. 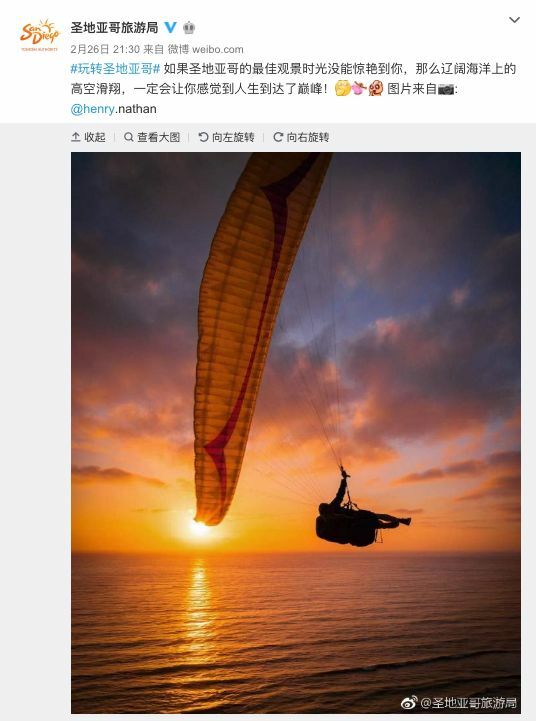 The social media team, in partnership with Hylink, published a total of 24 Weibo posts, and 4 WeChat posts. Overall traffic to the Mexico page was 34,675 unique users. 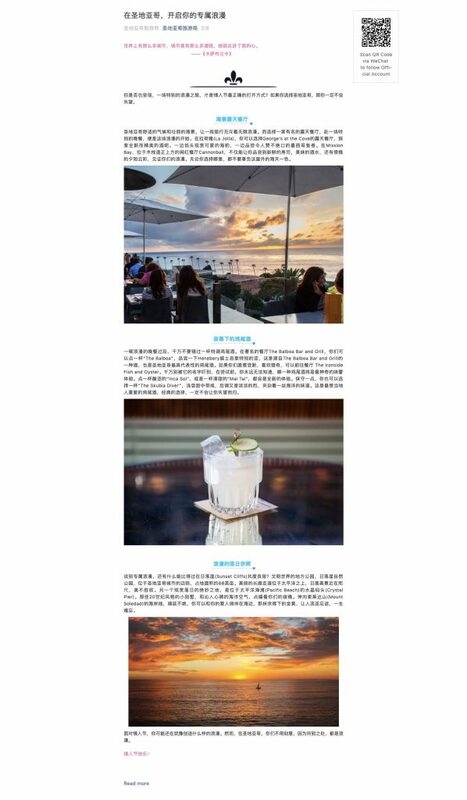 The social media team, in partnership with PR Central, published a total of 10 Facebook posts and 9 Instagram posts. Overall traffic to the Japan page was 2,201 unique users. The social media team, in partnership with aviaREPs, published a total of 16 Facebook posts. The February B2B Postcard was delivered to 8,443 meeting planners as part of an ongoing content series. Each month highlights inspirational opportunities for meeting and event planners in the destination. The open rate for the February B2B email was 22.7% which represents over 1,870 unique meeting planners. 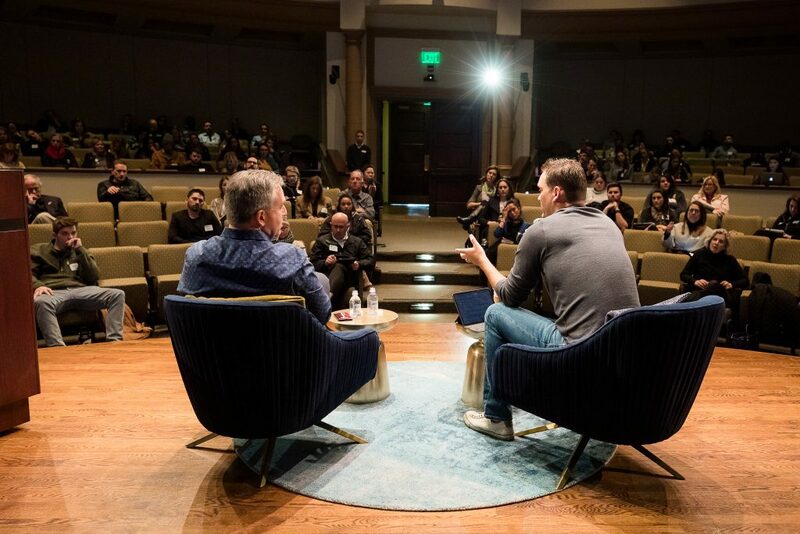 The February email highlighted unique adventure opportunities for attendees to experience during, before, and after a meeting or event in San Diego. LinkedIn grew by 2.8% from last month to 7,555 followers, earning more than 12,783 impressions. Year-over-Year the LinkedIn Audience grew by 21%. 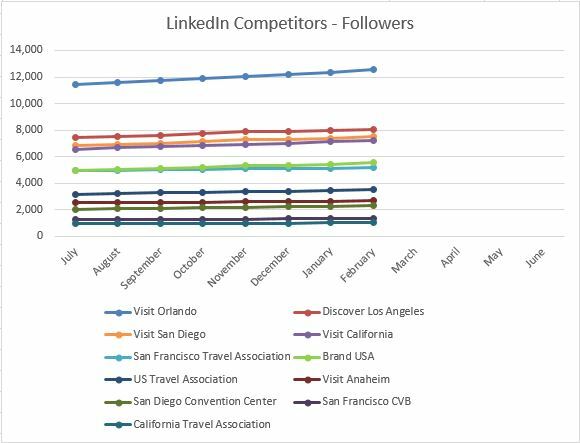 @SDTAConnect Twitter base grew by 8.9% YoY to 3,949 followers. There were 17 tweets during the month. 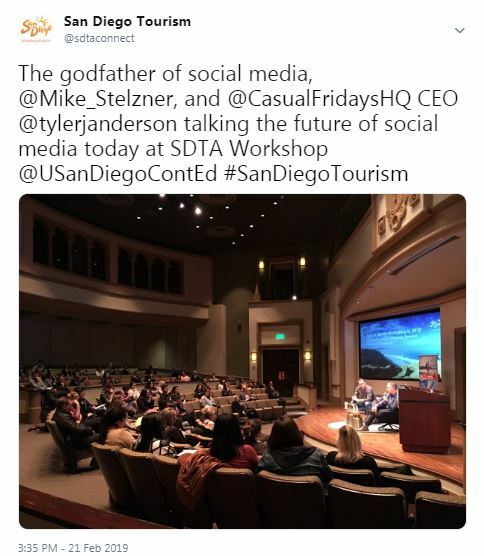 This month, the tweet with the most exposure (7,528) was a live photo of the SDTA Social Media Workshop and the keynote speaker, Mike Stelzner, at the University of San Diego venue. The February tweet with the most engagement was a photo of our Social Media team broadcasting an hour-long live segment to China on the popular social platform, Weibo. The B2B Account earned over 25,000 impressions during the month of February. 19 New Members joined in February earning $11,790 in annual dues revenue. 15 Members attended Open Office Hours to learn how to best maximize benefits and work with the SDTA Communications team. 16 New and existing Members attended the February New Member Inspiration session to learn how to maximize benefits. $ 94,452 was earned in new ad contracts. Over 110 Members attend February’s Social Media Workshop, sponsored by USD Professional & Continuing Education. Mike Stelzner from Social Media Examiner and Tyler Anderson from Casual Fridays provided a ‘State of Social Media’ comprehensive overview to Members. Survey data from attendees was overwhelmingly positive, and also provided ideas for future content which will be addressed at our next event. USD also renewed their sponsorship through March 2020. In February, the Hotel Meetings Sales team booked 51 meetings, representing 20,369 room nights. Fiscal year to date, the team has converted 459 bookings and 242,053 total room nights for the destination. These booked business opportunities represent meetings that have never been to San Diego or have not been to San Diego in the past 5 years. Our sales and events team had a busy month, attended 7 tradeshows and events in February to include Destination Showcase and MPI MidAtlantic Expo, both in Washington D.C., HelmsBriscoe Partner Exchange in Atlanta, Connect Marketplace in Chicago, MPI NCC in San Francisco, Global Pharmaceutical World Congress in Philadelphia and IPEC in Dallas. From these shows, our National Sales Directors connected with over 500 meeting planners, generating 16 group leads (8,606 room nights). February was a productive month for our Customer Acquisition program. Through our proactive efforts, in February alone, the hotel sales team generated 10 group leads, representing 8,103 room nights, while booking 3 definite programs (1,501 room nights). The Customer Acquisition program is our proactive sales efforts designed to bring clients with targeted group business opportunities to San Diego or conducting in market events in key cities around the country. The Site Experience team had a busy month, with 15 client site experiences, creating exposure to 42 hotels. 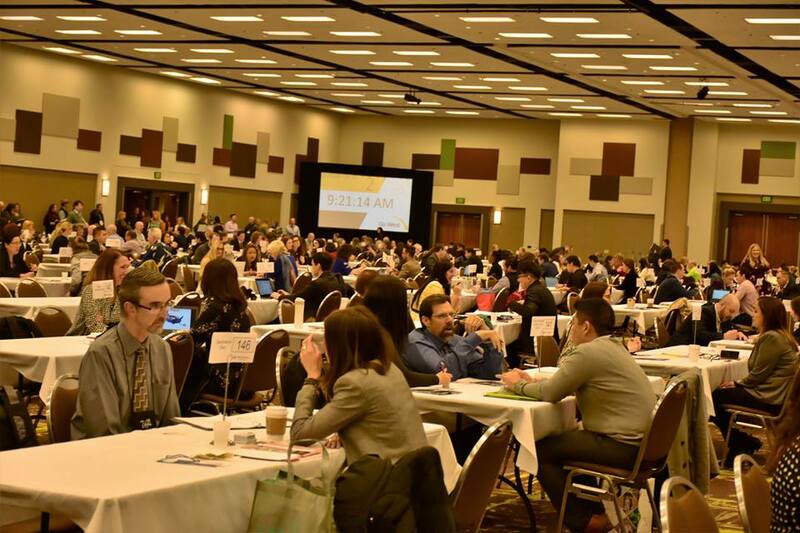 In February, Director of Communications Candice Eley joined members of the Marketing Division to attend Visit California’s Outlook Forum conference. At the conference, Ms. Eley met with Visit California’s PR Committee to discuss a proposed new standard for measuring the effectiveness of PR programs of work in FY20. PR Manager Robert Arends hosted a fam tour for Canadian media outlets, focusing on the 250th commemoration of Old Town and the region’s history and culture. Media in attendance included Canadian Geographic, Homefront, Calgary Herald and Zoomer. PR Manager Edna Gutierrez traveled to Mexico City for a media mission with rep firm PR Central. Ms. Gutierrez hosted a media event day with notable San Diego bartender Stephen Kurpinsky, where key publications where invited to sample the flavors of San Diego’s craft cocktail scene and discuss story ideas. Media pitched during the mission include Forbes Life, Food & Wine, GQ, Chilango, Gourmet de Mexico, AZ Clic Pasaporte, Open Magazine, Architectural Digest Mexico, Food & Travel Mexico and a live in-studio radio interview for Imagen Radio. 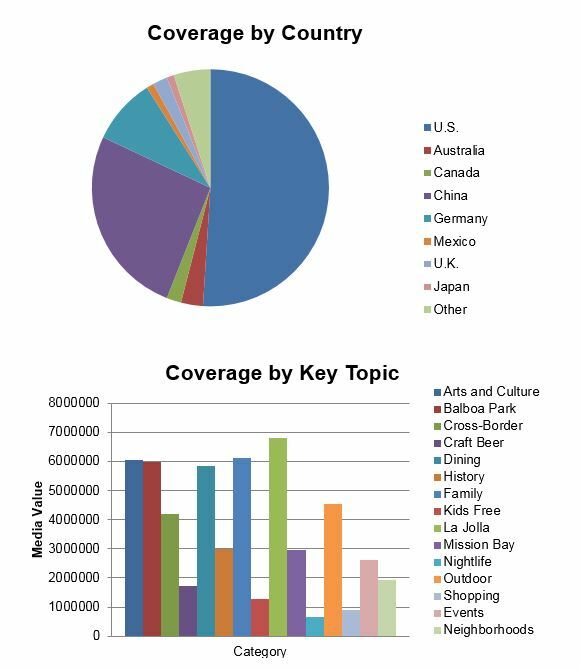 Key coverage received in January included Forbes, Vice, Smart Meetings, Nexos (American Airlines Spanish in-flight edition), The Irish Sun, 24 Heures (Switzerland) and more. The Tourism Development team referred 63 partners to 11 organizations and 4 leads to member businesses from travel trade clients for 608 room nights. 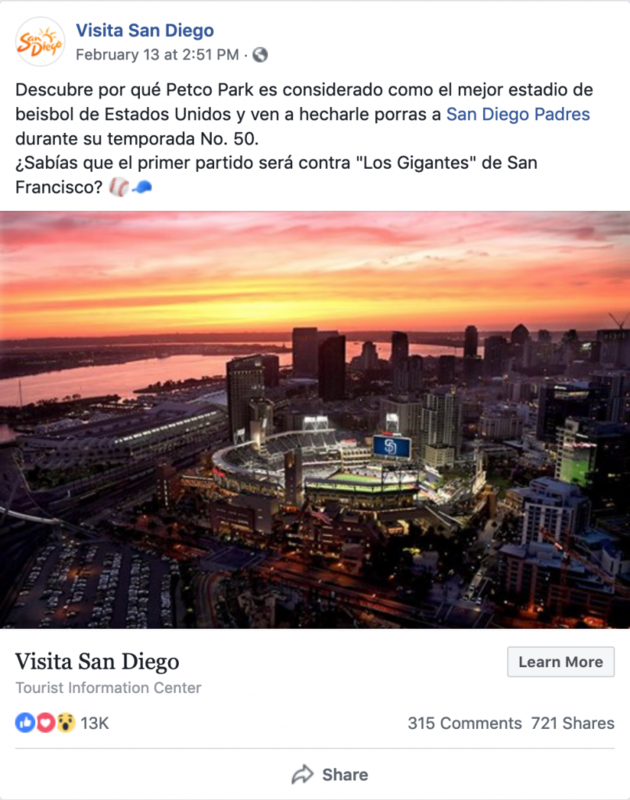 The team certified 91 new San Diego Specialists agents from USA, Mexico, Canada, Australia, India and Germany who account for approximately 7824 visitors to San Diego – generating approximately 2684 annual room nights. 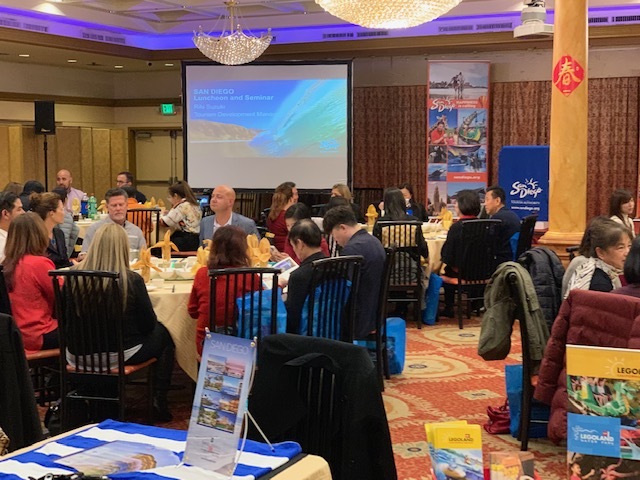 SDTA hosted the Annual Asian Client luncheon & Seminar in Rosemead on February 13th with over 50 top Chinese, Japanese and Korean receptive operators based in LA area. There were 15 SDTA members who participated and networked with clients and had the opportunity to showcase their products in a trade show format. San Diego came together to welcome 20 top receptive and tour operator clients at our annual VIP Client Dinner in Los Angeles on February 13th. 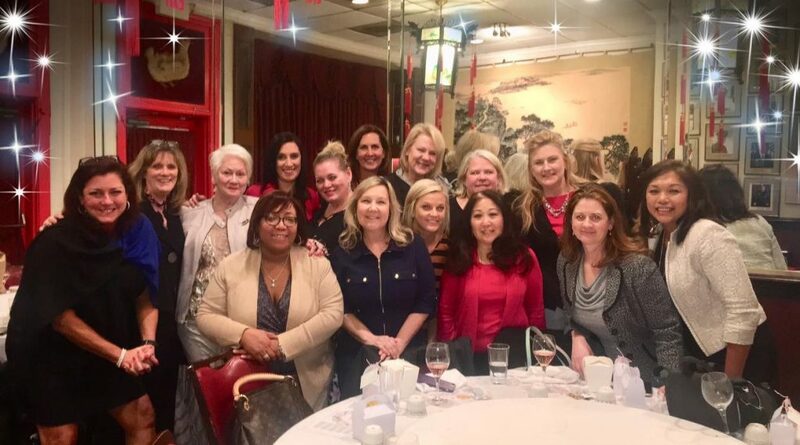 Joining the entire SDTA Tourism Development sales team were 17-member hotel and attraction partners who enjoyed an evening of networking and relationship building with these top clients who are mostly based in the LA area. 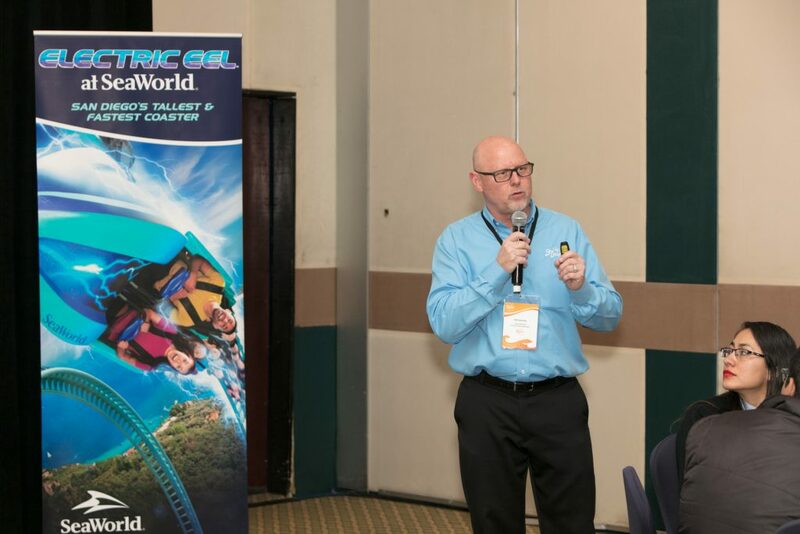 Phil Hannes, Sr. Director of International Marketing lead 8 members (SeaWorld, San Diego Zoo/Safari Park, USS Midway, CBX, LEGOLAND, Five Star Tours, Hornblower, Leisure Pass Group) on the first SDTA Mexico Sales Mission to Mexico City, Guadalajara and Leon. The sales mission included training 100 agents from the top 10 wholesalers in Mexico City followed by a cocktail event where over 60 tour operators, airline representatives, media and clients joint the event. Included sales calls and agent trainings at Travel Impressions, Price Travel, Euromundo and Travel Shop. Other events included a luncheon with the Aeromexico team to discuss future partnerships and additional agent trainings in Guadalajara and Leon totaling over 200 agents. 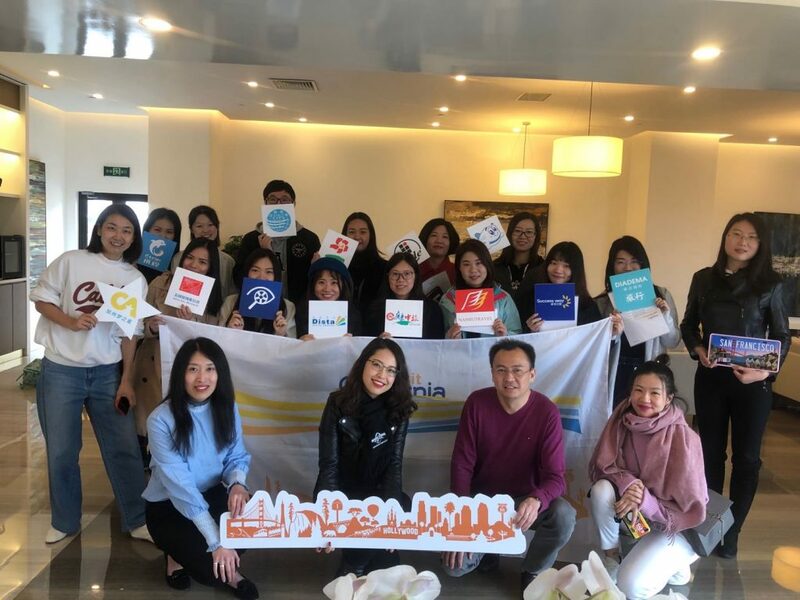 On February 24th, Jacky Zhu, Travel Trade Representative in Shanghai, participated in Club California Product Development Series in Guangzhou. 12 key tour operators, wholesalers and OTAs in the region joined the session where Jacky delivered the destination presentation and met with each of them on One-on-one meetings. Riki Suzuki, Tourism Development Manager, participated Go West Summit in Boise, Idaho from February 25th to 28th. Riki had nearly 50 one-on-one appointments with product managers from all over the world to discuss promotional opportunities and new product development. The UK San Diego office conducted several agent trainings focusing on Cassidy Travel and Flight Centre. The trade team participated in the Destinations Show at the beginning of the month where 45,000 consumers attended. During the month of February, SDTA hosted the Visit California Mexico FAM group of 10 top wholesalers looking for family activities.